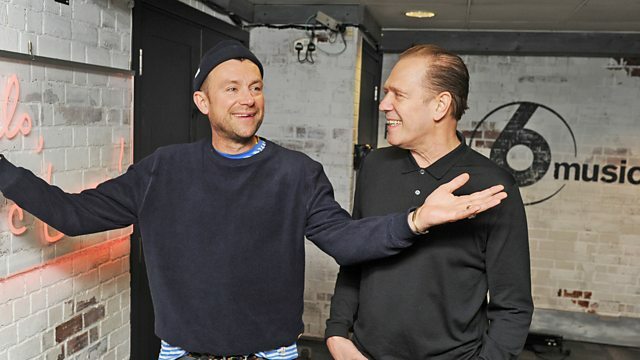 Ahead of their appearance at the 6 Music Festival in Liverpool at the end of the month, Damon Albarn and Paul Simonon from The Good, the Bad & the Queen sit in for Iggy Pop. Expect two hours of radio ping-pong including tracks by Lee Hazlewood, Elizabeth Cotten, Fatoumata Diawara and a lesser known Iggy & The Stooges nugget. Produced by Tony Visconti and The Good, The Bad & The Queen, the album's focus moves beyond GBQ’s London-themed first album to a wider land, with a beautiful and hopeful paean to the Britain of today. Liverpool is the host city for the 6 Music Festival 2019, taking place in venues across the city from Friday 29 to Sunday 31 March. Yiddisher Jazz In London’s East End 1920s To 1950s. Lost Somali Tapes from the Horn of Africa. Listen to a selection of programmes about Liverpool's rich music heritage.